Expanding your healthcare services through a mobile clinic is a big milestone. With a mobile clinic, you can reach out to people in their own neighborhood, without leaving the comfort of your work environment. If you’re looking for new opportunities to grow your health services, this is where to start. So what is it that you are looking for in a mobile clinic? 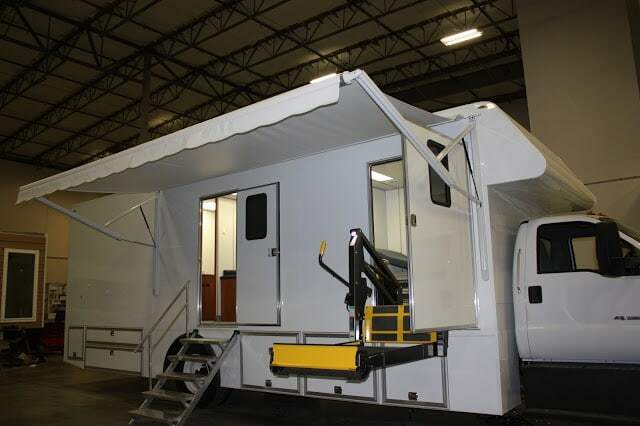 Much like building a custom home or shopping for a new car, you want your mobile clinic to have everything you need. In this article, we want to go over how you can take advantage of a mobile clinic for your healthcare services. A song is defined as a piece of music orchestrated with a beat or rhythm. We listen to songs on the way to work, the gym, mobile clinics, and so on. 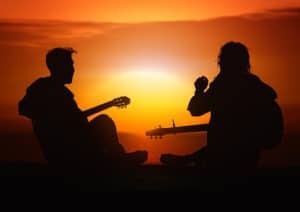 Music is powerful, in fact, it is so powerful that our mental health actually improves through music. According to research, music can be a form of therapy both physical and mental. By applying such methods to your specialty vehicle that focuses on mental health, your patients will be receiving a fun way to destress and also cope with health issues they face. As we continue to bring awareness to mental health this month, it’s important to find and develop programs that the community can not only benefit from, but also have the accessibility to reach at any given moment. Because like music, healthcare should be as easy as looking up and playing a song on our phone! Having a 9-5 job can create a conflict in scheduling a doctor’s appointment. For one reason or another, there’s just no time to do anything. Well, AGI is changing the way we think about time, by creating a mobile health clinic that will help save you time from getting to the nearest doctor across the nation and around the world! By contacting a mobile health clinic, not only is there an easier access to doctors, but our clients are assuring everyone is able to get medical attention.